Born November 7, 1909, at Wright, Ford County, Kansas. Died January 8, 2007, at Elkhart, Kansas. Viola was born on a farm near Wright, Ford County, Kansas. She was the 9th of 11 children. Her parents moved to Ford County from Walnut, Crawford County, Kansas around 1900. When she was about 5 years old, she contracted polio, and her parents thought she would never walk again. However, she did walk, although with a noticeable limp, which became worse in her later adult years. When she was around the age of 6, in 1916, the family moved to a lake near Eads, Kiowa, Colorado, where they lived until the death of her mother in 1921. Then Viola and her younger sister Bertha lived with older sisters for a couple years, then were taken in as foster children by Viola's uncle and his wife, Bertha and Frank Lyness, who lived in Spearville, Ford County, Kansas. Sometime in the early 1930's she left Spearville to attend college in Bresee Peniel College in Hutchinson, Kansas. After her marriage, she spent the rest of her life living on the Rose family farm, near Keyes, Cimarron County, Oklahoma, where she was a housewife and taught private piano lessons. In the fall of 1999, she moved to the Elkhart Care Center in Elkhart, Morton County, Kansas. 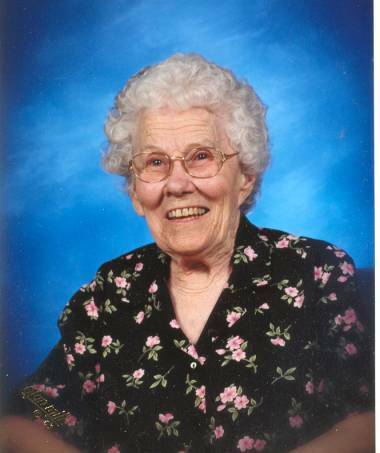 She was very active in the Elkhart Nazarene Church and taught Sunday School for many years. She loved teaching and loved bookkeeping and typing. She is remembered for her sweet spirit and love for people, as well as her love for the Lord and for the church. Click here for more information on Viola. Married May 18, 1943, at Dodge City, Ford County, Kansas.